Piano Showrooms Derby. Edward Knowles Piano Showrooms located over in Belper is a must-visit Piano showroom, particularly when looking to secure your first Piano. 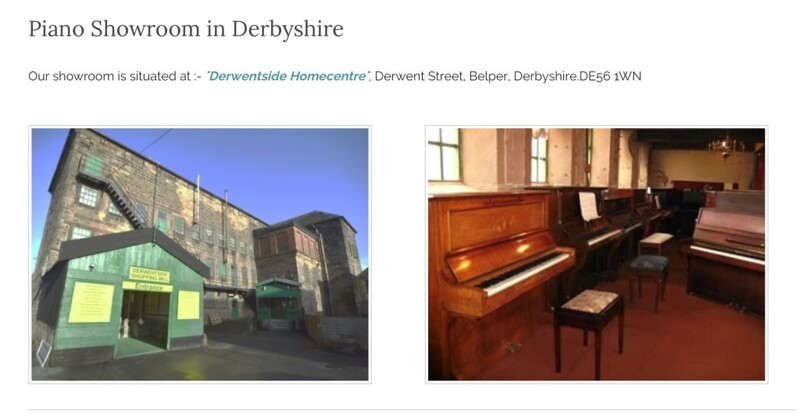 Situated in Rural Derbyshire, Edward Knowles Pianos offer an extensive range of quality used instruments, which have been given a thorough check before being made available for sale to the general public. Always buy a used Piano with confidence from a reputable Piano Showroom. I would strongly advise against buying a cheap Piano from an ad in a shop window or online. You should think of buying a used Piano in quite the same way as you would if you were buying a used car. It’s fair to say you’ll more than likely pay more when buying a Piano from a Piano showroom as opposed to a private sale, but believe me it’ll be well worth it in the long run. A Piano has many mechanical parts inside which will need attention after some time. How much does a good quality used upright Piano cost? Make, model and condition are a big factor in how much you’re likely to pay. I’ve known good quality Piano’s be bought for as little as £200.00, which I would say is quite a lucky purchase. That said, I’ve also known a decent upright Piano go for as much as £3,000.00. My advice is to set your budget and don’t be persuaded to go further. A good ballpark figure is £500.00 and above for a first purchase. Not too much money to speculate on the longevity of your child’s Piano lessons. 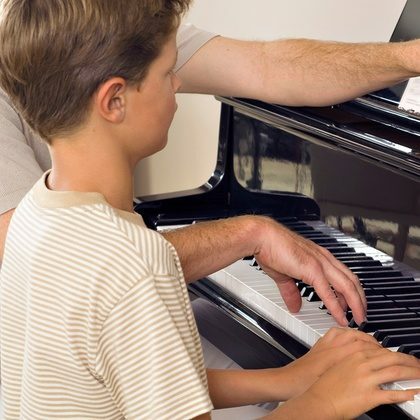 Chances are, you’ll make your money back if Piano lessons fall by the wayside.